Zinfandel appeared in the late 1860's in the vineyards of California and rapidly became the backbone of the legendary pre-prohibition red blends. Nobody really knew where those original Zinfandel vines were cut and sent to the New World. For over a century, scientists and romantics have searched for the ancestors of Zinfandel. They drew a blank in France, then pushed South. In Calabria, the "bootheel" of Italy, a fine local wine is made from a grape called Primitivo, whose leaf and cluster configuration closely resemble Zinfandel’s. Although the hot climate gave the Italian wine a somewhat different character from the Zinfandel grown in California's cooler coastal valleys and mountains, it was definitely more similar than different. The wonders of DNA tracing have solved the mystery. It appears that Primitivo is either the father of Zinfandel or the intimate mailman. Salamandre's Primitivo comes from Italian vines grafted onto American rootstock in toasty Southern Monterey County. The early vintages surprised the winemaker with their over-the-top fruitiness, emphasizing "red fruits" of Montmorency cherry and strawberry. As the years passed, the vines begin to gnarl and the roots pushed deeper into the granular soil of the ancient Los Lobos benchland. The wines started lifting weights. The 1998 won gold medals, turned heads, and foreshadowed bombastic things to come. 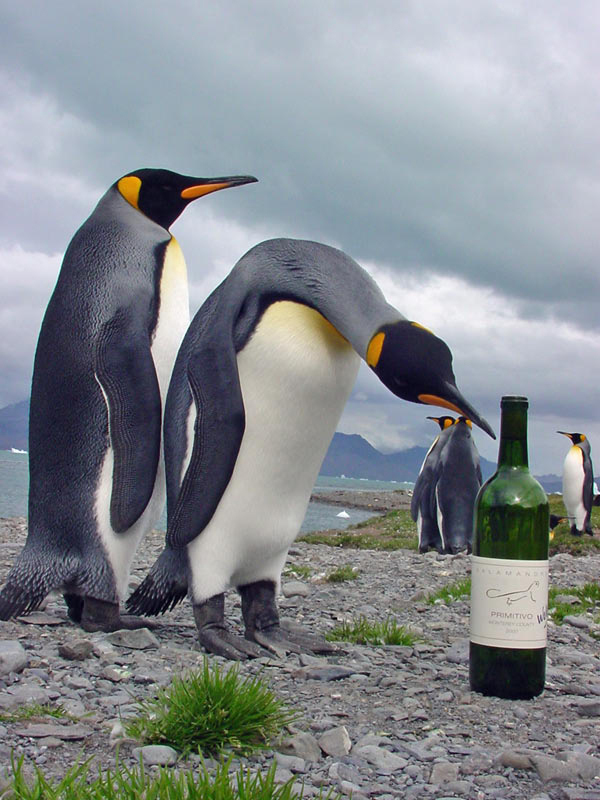 The 1999, 2000, and 2001 were nearly black, seductively viscous, and rippling with blackberry and black cherry aromas. Rarely can such muscular wines show such subtlety of fruit, not to mention perfect acidity. Impertinent individuals have asked: “Where did the Calabrian Primitivo come from?” Across the Adriatic, Croatian nationalists have shown researchers some very Zinfandelish vines on the Dalmatian Coast. Only Dionysos knows for sure, but he must be proud of his work. 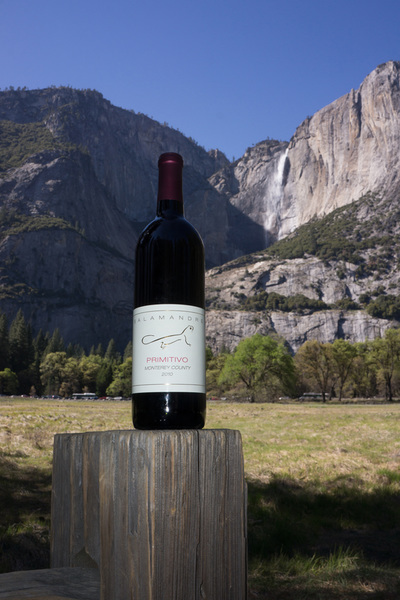 2012 Update: What makes Primitivo so intense? The Los Lobos Vineyard looks down over the fertile benches above the Salinas River, desultorily sauntering southwards this time of year but capable of lots of noise in winter. Most of the Los Lobos vines are planted on terraces on the west (uphill) side of Hwy 101. However, in the upper reaches where the vineyard butts against really wild territory, one hill bulges above the rest of the plantings. From the highway, a traveler can’t see the vines planted on the southwest facing flank of that hill, but I’ve supervised them when Southwest starts its descent to the Bay Area. This steep terrain requires exclusive hand-work from pruning to harvest, fitting for a grape of Calabrian heritage. 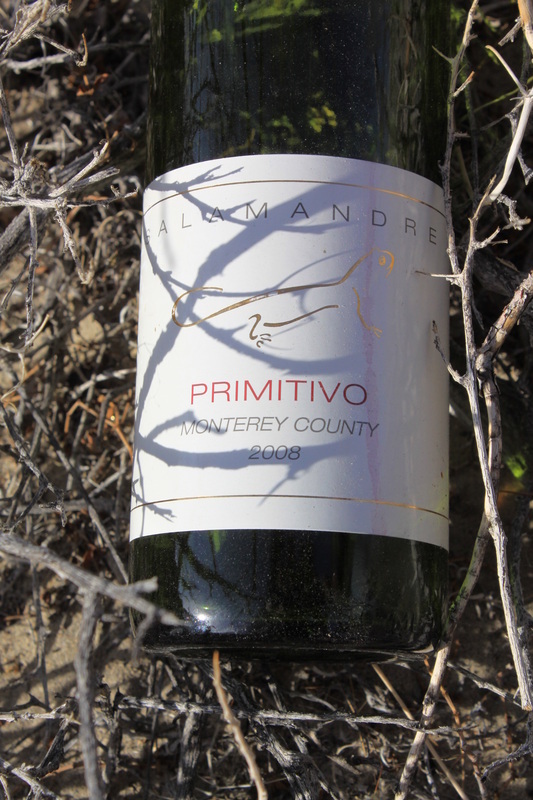 A crust of degenerating limestone juts above the crumbly soil near the ridgeline, and I suspect that calcareous soil influence is the key to the uniquely ravishing flavors of this Primitivo when we allow it to ripen to the max.